ceda and CESA are delighted to announce the winners of this years’ Technical Awards. Presented at the gala dinner which concluded The Catering Equipment Industry Technical Conference in Nottingham on 10th October, the awards specifically target the service side of the catering equipment industry. This year’s judges were Jonathan Booth, MD of ceda partner Commercial Catering Spares Ltd and John Quipp, Technical Services Manager UK of ceda partner Blue Seal. The Groundbreaker Award recognises and rewards the successful introduction of an innovative project that delivers additional customer service benefits. 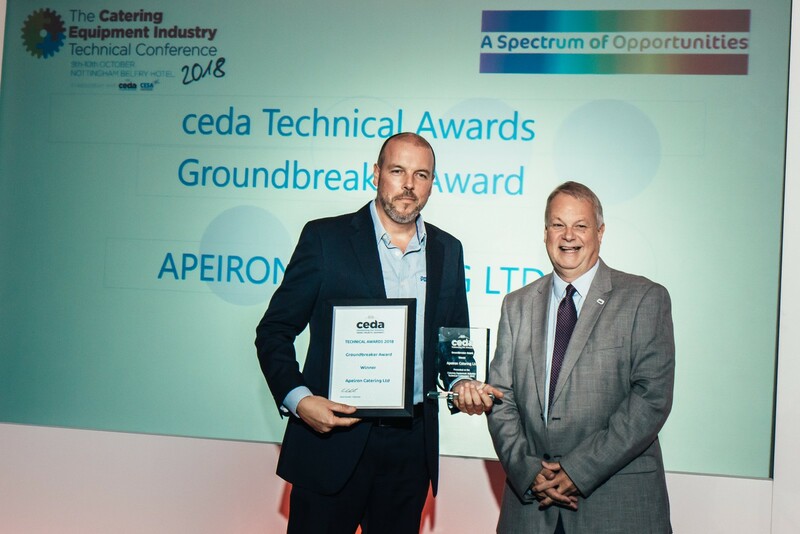 This year’s winner was Apeiron Catering for their new field service management system which has reduced engineer response time as well as boosting first-time fix rate! 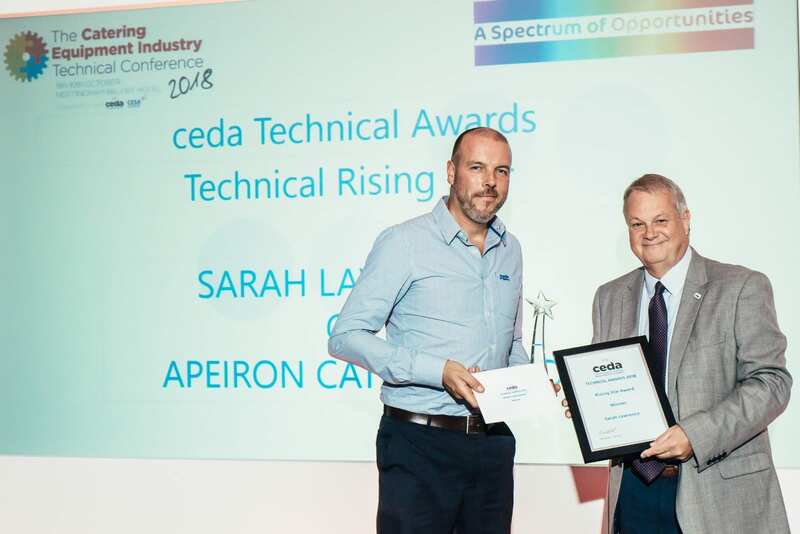 The Rising Star Award recognises and rewards an individual’s outstanding achievement and contribution to the development of the Technical Service and Support provided by a ceda member company. The 2018 winner was Sarah Lawrence from Apeiron Catering for her pioneering work managing the software for the new field service management system. The Apprentice of the Year Award recognises and rewards an individual’s outstanding progress during their apprenticeship. 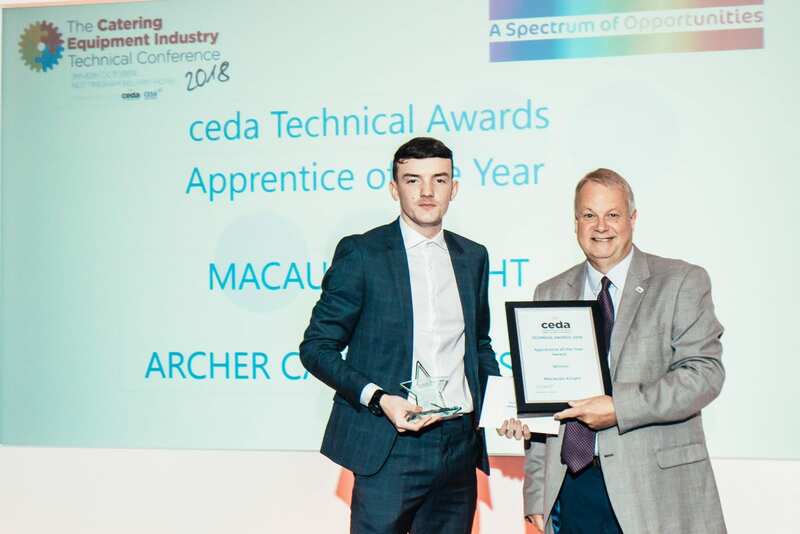 Topping the board this year was Archer Catering Systems’ project engineer, Macauley Knight who has quickly made a big impression at the SME company. The Supplier Award recognises and rewards a supplier for their high quality technical support, particularly for engineers working in the field. 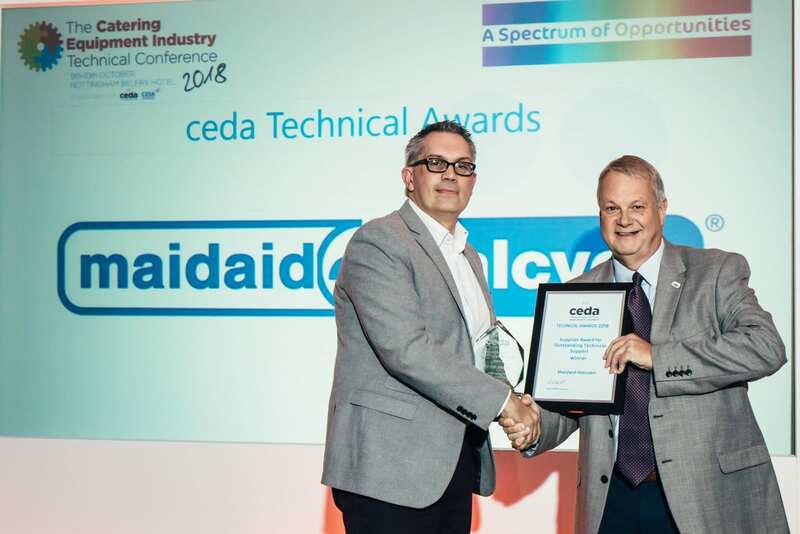 This award is voted for by ceda members technical contacts, with Maidaid Halcyon voted as the 2018 winners. Congratulations to all the winners and thanks to all who attended and contributed to The Catering Equipment Industry Technical Conference 2018!